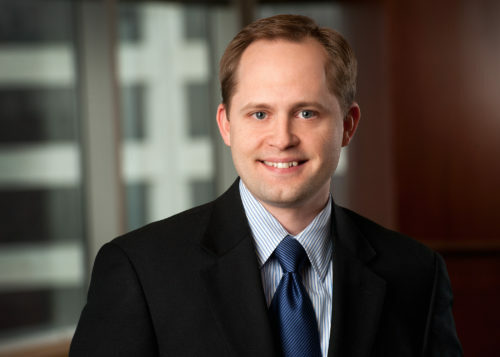 Sam’s practice at Carlson Caspers focuses on patent litigation and counseling. He has worked with leading technology companies in developing both domestic and international enforcement strategies that involve complex technologies. Sam has litigated patent disputes in federal district courts across the country, before the Federal Circuit Court of Appeals, in Inter Partes reviews before the Patent Trial and Appeal Board, and in other disputed matters before the patent office. Sam also advises technology-driven companies in negotiating complex patent licenses, developing and managing IP portfolios, conducting infringement and validity studies and opinions, as well as due diligence and counseling on intellectual property issues in mergers and acquisitions. Sam has employed his background in physics to investigate patent disputes in a wide range of the electrical, electro-mechanical, software, and optical arts, including advanced telecommunications equipment, cellular and distributed antenna systems, wireless communication protocols and products compliant with LTE, WiMAX, Wi-Fi and Bluetooth standards, medical devices, implantable defibrillators, remote patient monitoring systems, optical films, remote access over TCP/IP networks, military and commercial aircraft components, microelectromechanical systems, projection light engines, predictive maintenance vibration analyzers and laser systems. Based on his professional achievements and peer recognition, Sam has been featured by Thomson Reuters Super Lawyers Magazine as a “Super Lawyer” in the field of intellectual property. ADC Telecommunications, Inc. v. Panduit Corp.